The fight to confirm or not confirm the nominee for UNWTO Secretary General Zurab Pololikashvili from Georgia is shaping up. 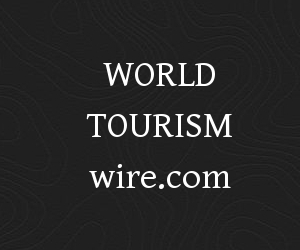 There was no response or acknowledgment yet by the Secretariat of the United Nations World Tourism Organization (UNWTO) after the Hon. Walter Mzembi, Minister of Tourism and Hospitality for ZImbabwe on July 18 sent an official letter to the current Secretary General Dr. Taleb Rifai. This letter was copied to all UNWTO members. Today Dr. Mzembi sent a reminder also copied to all UNWTO members to Dr. Taleb Rifai urging him to react. In addition in his reminder, Mzembi is asking for a full video footage of the electoral process held on 12 May 2017 during the Executive council meeting in Madrid. This reminder and request for a response and videos said. Esteemed Secretary General, to date, I have not received acknowledgment of receipt of my communication by your esteemed Office. I am very concerned that no response has come from your Office. I wish to urge your good Office to revert to me as soon as is possible regarding the request to add Agenda items to be a discussion at the 22nd UNWTO General Assembly to be held in Chengdu, the People’s Republic of China. For the avoidance of doubt, I attach the same copy. Excellency, Secretary General, I further humbly request a full video footage of the electoral process held on the 12th of May 2017 at the Melia Castilla, Madrid, Spain from your office. I need the video in order to have a comprehensive appreciation of what transpired inside the room during the elections. Please send me the video footage directly to me in time as my delegation prepares for the 22nd General Assembly. I wish to state my country’s total commitment to the UNWTO – the organisation that we all look up to in terms of leading global tourism and providing Member States, Affiliates and Associations with the desired strategic leadership for the transformation of global tourism for the betterment of all in the world. Once again, Excellency, Secretary General, I thank you for your understanding and consideration of the foregoing request, and I would also ask that you accept the assurances of my highest consideration.